LinkedIn is one of the most pivotal, influential, effective, and professional network. I signed up on LinkedIn in 2007 and have a All Star Profile over 10 years now. 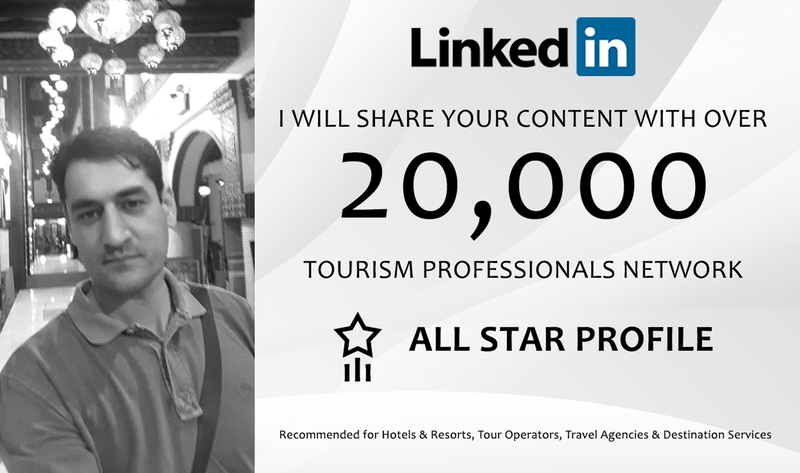 I've 20.000+ connections and almost all of my connections are in the Hospitality, Travel and Tourism Industry. Everything I post gets heavy engagement and is a perfect platform to promote your Hotels, Resorts, Travel Itinerary, Travel Packages, Day Trips, Round Trips, Tours, Safaris, Adventures, Holiday Destinations and anything else related to Hospitality, Travel & Tourism. Pictures and Links for your posts are encouraged. I can also promote your profile, which will help get you new connections, endorsements, and written recommendations. This is very effective exposure and is will help enhance your profile tremendously. Full post analytics will be shared. I'm a travel and tourism professional who has contacts to thousands of Travel Agencies. I'm a B2B connector for Hotels & Resorts, Tour Operators, Travel Agencies and DMC's....Read moreI'm a travel and tourism professional who has contacts to thousands of Travel Agencies. 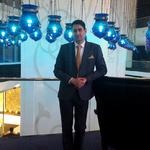 I'm a B2B connector for Hotels & Resorts, Tour Operators, Travel Agencies and DMC's. I can help by distributing your rooms, tours and services to a wide network. I'm also a certified Digital Marketing Expert, HubSpot Inbound Marketing and Google Online Marketing.